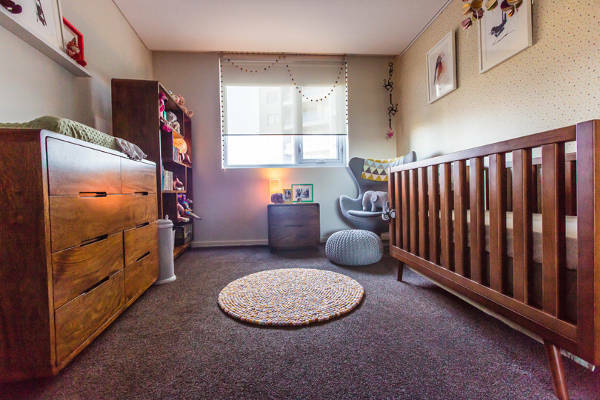 This beautiful nursery is so much more than just an amazing room created by a very talented mum. For a long time it was a cathartic imaginary space where happy thoughts resided through a long IVF journey. 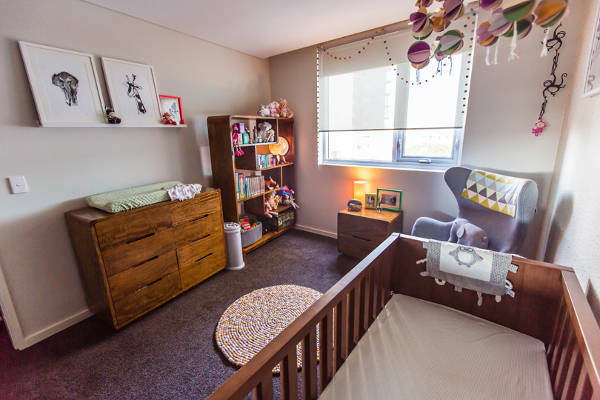 At 31 weeks pregnant, having had finalised décor selections for both boy and girl, my husband and I hosted our much-anticipated gender reveal party, where I was genuinely shocked to discover we were expecting a girl! I confess to ordering much of the décor online at 3am after the gender reveal (I couldn’t sleep after all the excitement!). There are several animal/bird prints and items throughout the room, however there is no fixed theme. I believed so long as I selected items I truly loved, everything would work harmoniously together. 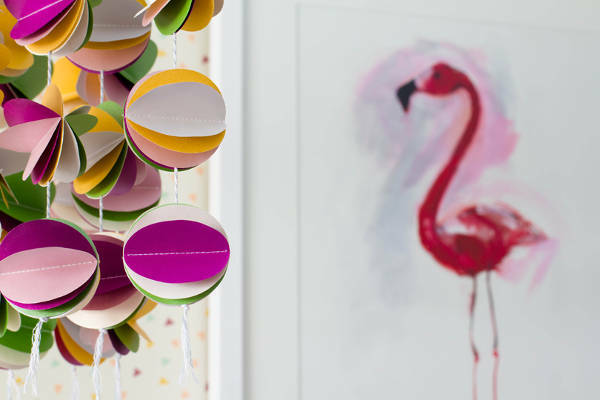 I used colours from the beautiful Love Mae ‘Confetti’ Wallpaper as the colour palette and had a felt ball rug and garland custom made to match. 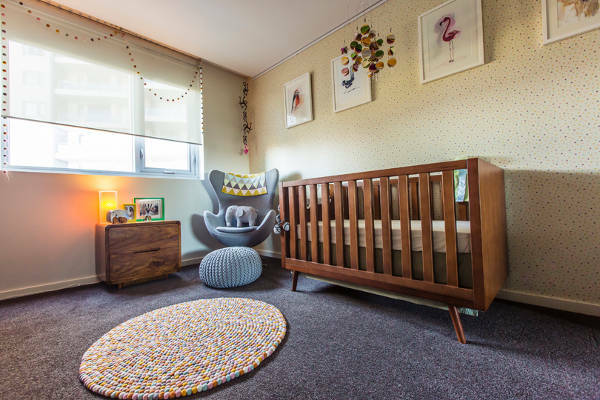 I love the 50s aesthetic of the Ubabub Nifty Timber cot and (finally) found the perfect bookcase, bedside table and tallboy (which we use as a change table) from World of Empire in Perth, which complement the cots mid-century design and have the added bonus of safe rounded edges! The colour and pattern of the Love Mae ‘Confetti’ Wallpaper. It makes me smile every time I enter the room. The Ralph Hobbs’ artworks (Flamingo, Masked Owl, Red Robin, Bluebird, Giraffe, & Elephant) from Hardtofind. 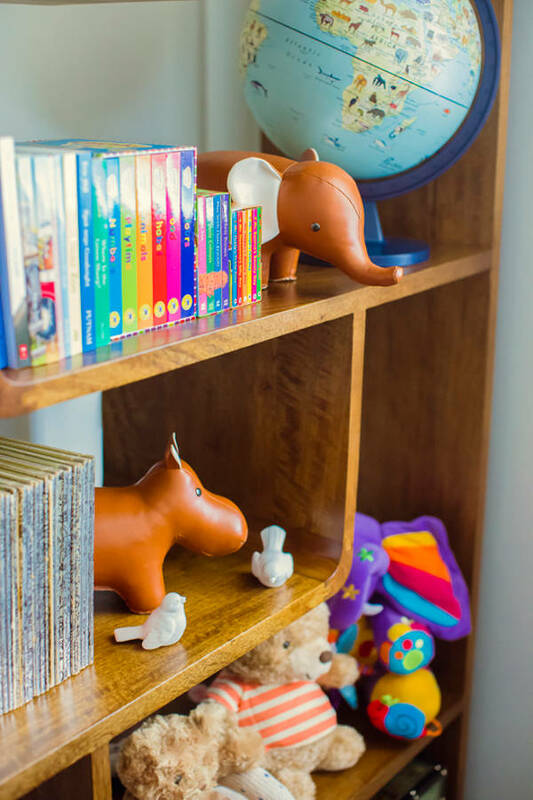 I love the impact created by grouping the bird artworks together, and Asher loves to gaze at the black and white Giraffe & Elephant artworks during nappy changes. Having a Gallery Hanging System is fantastic; I can display artworks without drilling hooks into the beautiful wallpaper, and I’m free to adjust the position of the artwork as desired. The mobile my Mum and I made; lovingly punching and sewing hundreds of circles together to complement the wallpaper, whilst creating something visually stimulating. 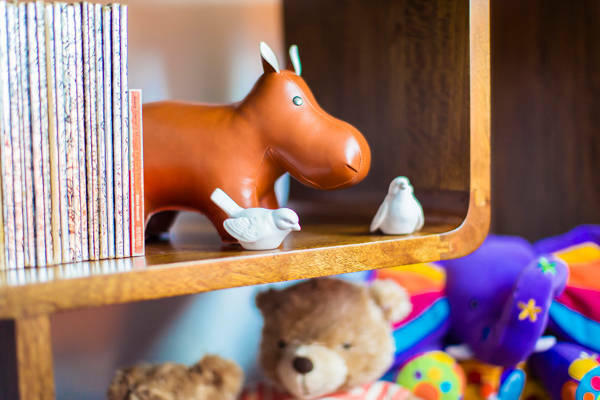 Bits and pieces we gathered during our Buenos Aires babymoon – a Mini Cooper, miniature Spanish children’s books from 1907 and a Wind in the Willows tin suitcase – all from the Feria de San Pedro Telmo vintage markets.